Category design helped upstart Sensity Systems redefine itself from an also-ran smart lighting company into a category leader that was acquired in 2016 by Verizon. Sensity started on a category-creation path after serial entrepreneur Hugh Martin took over what was then a tiny company making LED lights. Martin was an outsider to the lighting industry. He’d previously run a biotech company, a telecommunications company, and a video game company -- but never a lighting company. He saw an interesting opportunity in LED lights. LEDs can essentially digitize light fixtures, allowing lights to be embedded with sensors that pull in information about air quality, motion, sound or weather. And the lights can communicate over wireless networks, so the LEDs can be networked together to share information or collect massive amounts of data. Lighting networks can then track the number of cars in a mall parking lot, or, for police, light networks could detect gunshots with far better accuracy than current technology. Down the road, Martin could envision a globally connected light platform. Play Bigger had the pleasure of working with Martin on defining and planning out the category he envisioned, taking him through the process of category design. Martin and this team settled on a name for the category: Light Sensory Network, or LSN. Martin started evangelizing the category at the same time as he was building his company. He wanted potential customers to first understand the problems a Light Sensory Network could solve. And if customers wanted the problem solved, who were they going to call? Of course: the company that defined and made itself synonymous with category -- Sensity. Without this kind of thinking, Sensity would’ve been just another undifferentiated smart lighting company. But it became the leading Light Sensory Network company. 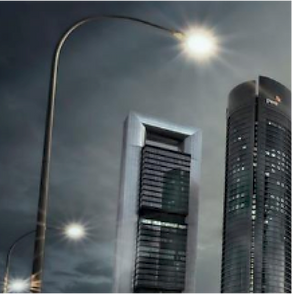 Huge global companies entered the business of LED lights and sensors -- General Electric, Philips, Samsung, LG. But Sensity, which by 2015 had signed up GE and Cisco as partners, wasn’t trying to beat them by making better sensor-loaded LEDs. It planned to win by marketing something different, focused on the network and data. In 2013, the phrase “Light Sensory Network” went from zero recognition to global conversation in about a week. That was the week Sensity pulled off a truly legendary lightning strike. A lightning strike is an all-consuming event, concentrating a company’s resources to break through the noise and start to condition the market. Sensity, though, had scarce resources to concentrate. The scrappy start-up had soldiered on for three years under another name, Xeralux, pitching itself primarily as an LED light company. CEO Martin, however, had much grander plans for his new category -- a convergence of lighting, networking and data science. Internally, Martin and his team, with a little help from us, did the work to define the category. They constructed a point of view and changed the company name from Xeralux to Sensity. But then came the big challenge for this pipsqueak and its non-consensus category: Sensity had to rise above the noise. In January 2103, Martin and his marketing chief, Amy Lee, circled a date on the calendar: April 23, 2013. That day, the world’s lighting makers and their customers would all be in Philadelphia for the annual convention called Lightfair International. That’s where Sensity would unleash its strike. If all went well, Sensity, then with 43 employees, would hijack the convention, using it to turn attention to the emergence of Light Sensory Networks. The strike was then about four months away. Martin and Lee courted a few elite reporters, trying to get at least one to write a story about LSN that would appear the day of the strike, which Sensity was billing as its big unveiling. They approached Don Clark of The Wall Street Journal, who thought the story was interesting and agreed to hold it for April 23 in exchange for having the story exclusively. Everything seemed to be set up for the Lightfair hijack. And then, as so often happens, events shook up Sensity’s plans. In an unusual twist, Sensity had a connection to the president of El Salvador, Carlos Mauricio Funes Cartagena. When Funes, a former journalist, learned about Sensity and LSN, he told the company he wanted to do a deal that would bring LSN to El Salvador to help with safety issues and with monitoring the nation’s ports. He was going to be in Washington, D.C., in mid-April, and proposed a joint announcement with Sensity on April 18. Sensity of course agreed, realizing the announcement about bringing LSN to El Salvador could be a good prelude to the lightning strike. Then, on April 15, 2013, two pressure-cooker bombs exploded near the finish line of the Boston Marathon. The brutal act, its aftermath and the search for the perpetrators riveted the nation and took over the news. At The Wall Street Journal, Clark, who had come to understand that Sensity’s LSN could detect odd patterns of behavior and might forewarn authorities about someone placing a bomb, decided his LSN story needed to run right away. So this became Sensity’s lightning strike: Clark’s WSJ story April 16 broke the news about LSN. Martin went on stage in D.C. with the president of El Salvador two days later; and Lightfair opened five days after that. Because Sensity had already thought through its category strategy, it was able to use the unfolding events as a rolling strike. By Lightfair, “we’d generated so much buzz our booth was packed all the time,” Lee recalled. The main strike event was supposed to be a late-afternoon function at Lightfair, with an open bar to lure attendees. Lee had initially worried that not many people would show up. The room could hold 338, but she only set up 200 chairs. Instead, attendees packed the hall. Stragglers who couldn’t crowd into the room stood outside the open doors trying to hear. Like the best pirates, Sensity improvised and ended up hijacking the whole week. Soon after the strike, stories about Sensity and LSN appeared in The New York Times and San Jose Mercury News and at least a half-dozen trade publications. The connection to El Salvador lit up Latin America media and exploded across Spanish-language social media. The coverage teed up Light Sensory Networks as a legitimate “thing.” People in the lighting industry started using the term. And since Sensity was the company that defined LSN and the problems it could solve, it set itself up as category king. In the fall of 2014, Cisco publicly recognized Sensity as “the pioneer of Light Sensory Networks” as the two companies signed a “strategic relationship.” Less than a year after that, Sensity got $36 million in funding from Cisco, Acuity Brands, GE Ventures and Simon Property Group. And the company still had only 80 employees. Sensity was like a band of eighteenth century pirates staying one step ahead of the world’s most powerful navies. In September 2016, Verizon announced it would buy Sensity for an undisclosed amount. Notably, Sensity started out as a lighting company. It wound up being bought as a networking company. “Sensity is a leading provider of IoT solutions for smart communities with a strong ecosystem of partners, and this transaction will accelerate the deployment of large-scale implementations that will drive the digital transformation of cities, universities and venues,” said Mike Lanman, senior vice president, Enterprise Products and IoT at Verizon, just after the deal was announced. At the core of this change was a well-executed category design strategy.